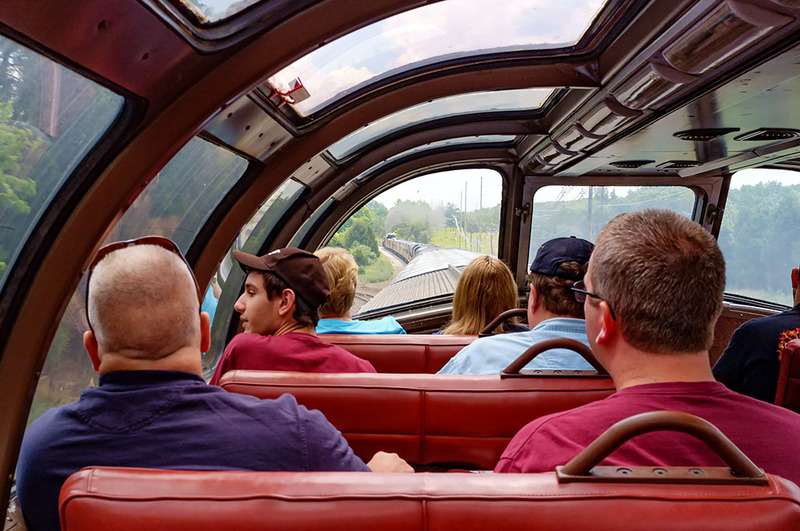 The crew at Bubba's Garage was lucky enough to take a ride behind the N&W Class J 611 steam passenger locomotive on one of its first outings after being recently restored. The garage donated to the "Fire Up 611" campaign and we were eager to take a ride to see where our money was used. My heart was pounding with excitement as this beautiful steam train pulled in to the station. 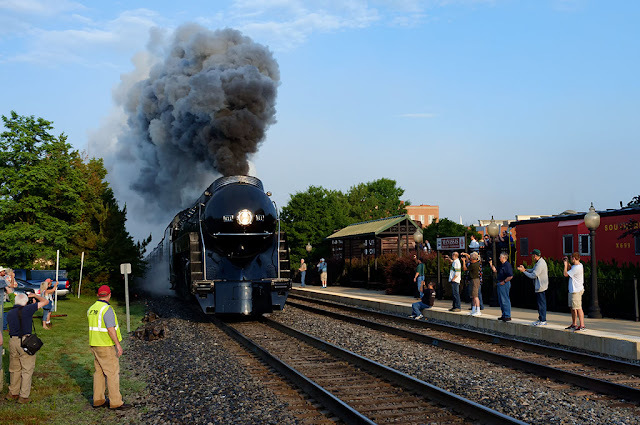 The Manassas Depot, built in 1914, makes a great backdrop for the steam locomotive. We all hopped aboard for "The American" from Manassas, VA to Front Royal, VA on an early June morning for the 100 mile excursion. You can't go wrong by choosing to ride in one of the vintage dome cars. They will give you the best views and are extremely enjoyable. 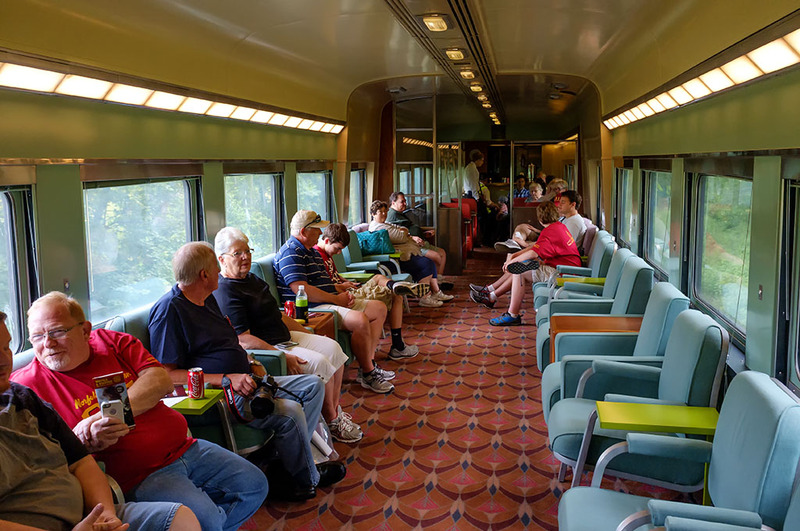 You also get first class treatment which includes refreshments and a light meal. Since we were in the first dome car we also had a great view of the 611 as she chugged through the Virginia countryside. 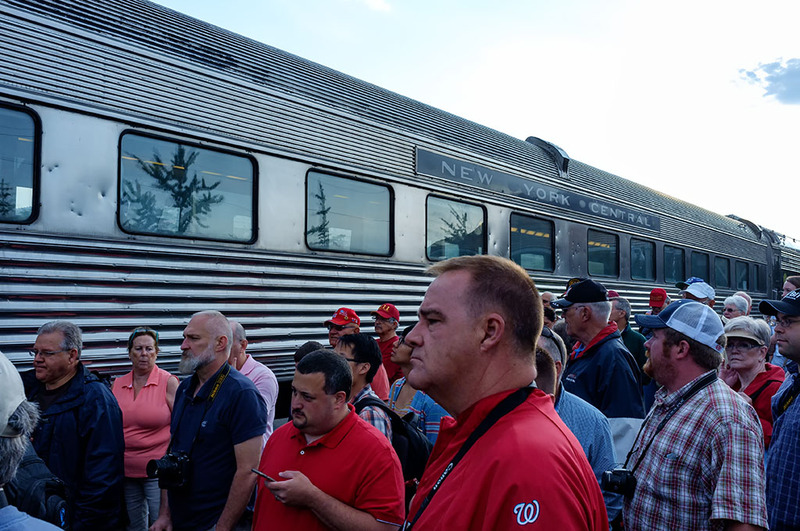 Make sure you visit all the cars on the train if you take a ride. 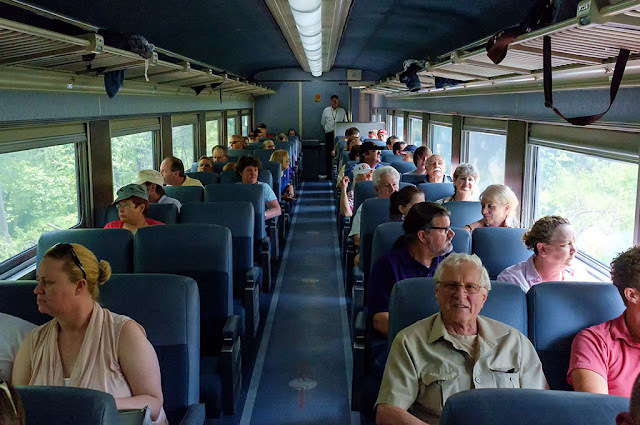 Each one is unique and offers different benefits. 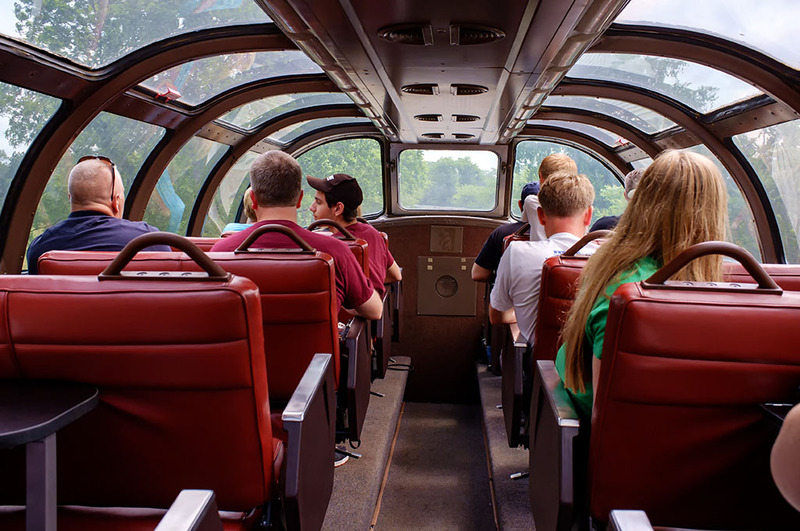 The Norfolk and Western Class J 611 is the last remaining of its kind out of fourteen that were built. 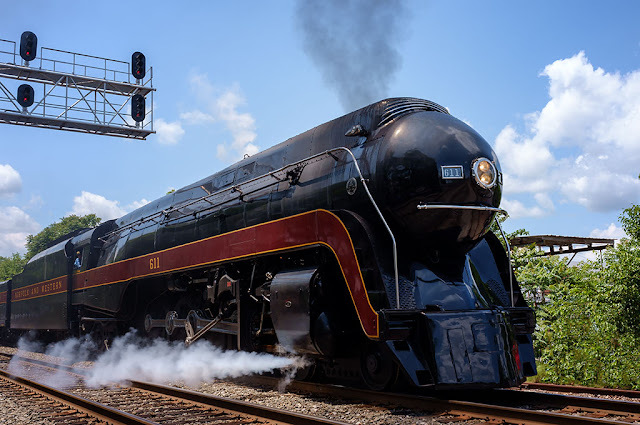 The 611 was built in Roanoke, VA and was put into service on May 29, 1950. She was first restored in 1981 and ran excursion until 1994 when she was sent to static display at the Virginia Museum of Transportation. 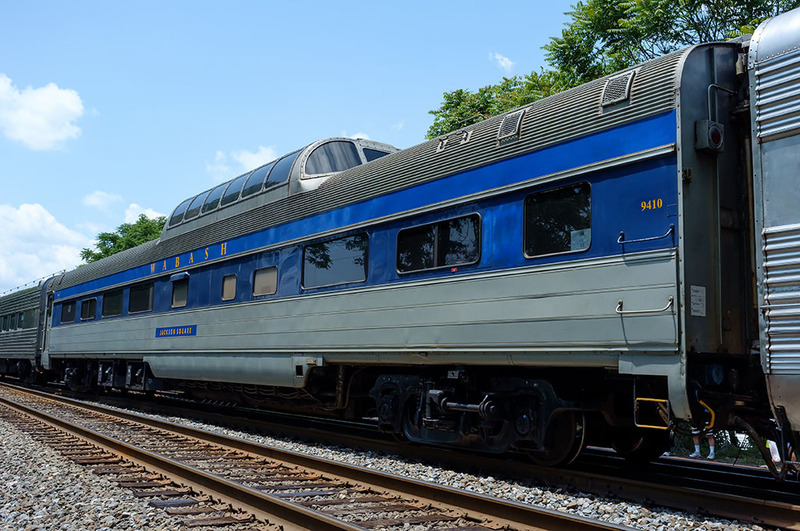 Twenty years after being removed from the rails she was sent for a year long restoration at the North Carolina Transportation Museum in Spencer, NC. 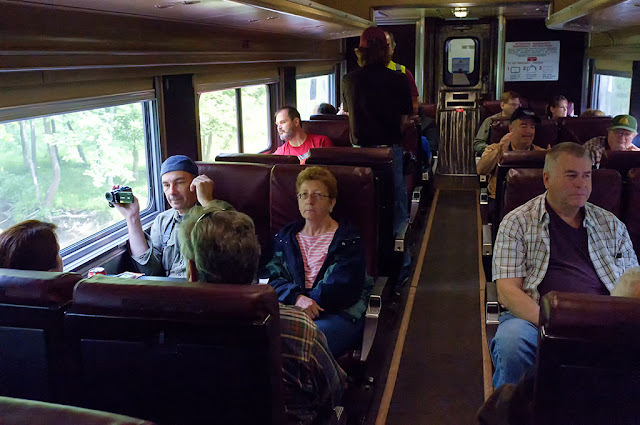 On May 30, 2015 she began to provide excursions once again to the many steam enthusiasts like us. If you get a chance don't miss the opportunity to experience what it was like to ride the rails in days gone by.